Cruise along the coast of Otaru to enjoy a view, unlike anything you will find on land. The awesome beauty of the landscape that has been passed down from ancient times. Explore the natural wonders of Otaru's coastal line, which perpendicular cliffs and blue ocean that reaches deep into coastal caves. 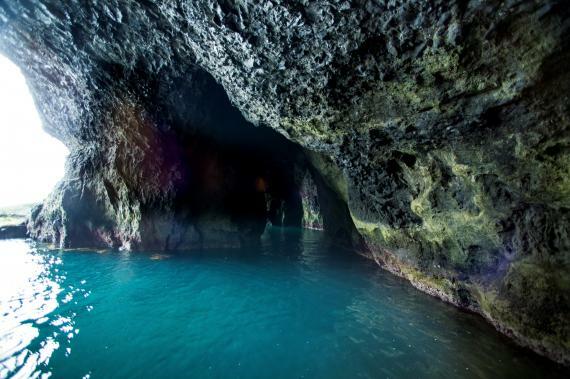 Depending on the weather, the color inside the cave chenges to different mystical color of blue. With the reflection of the light from the sun,"blue"is the most difficult of the seven colors of the rainbow to be absorbed by water. When the light from the sun, blue is the only color besides the six other colors of the rainbow that isn't absorbed by water, which makes the entire ocean look blue. The higher the degree of transparency for the sea makes for more vivid and visible blue color. The Blue Cave is blue because the high transparency of the seabed gives it a greatly illuminated radiant blue hue. 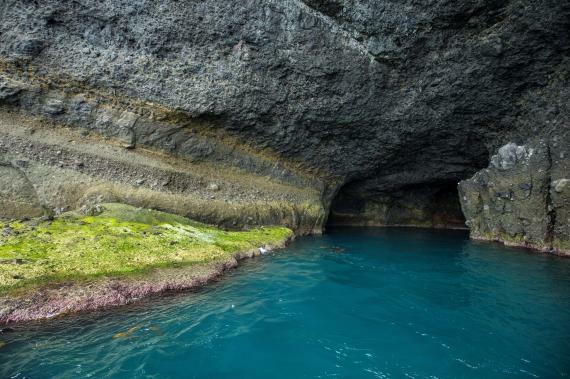 Enjoy Otaru cruising and explore blue cave. If you are very very lucky, you may see a "sea lion" on the rock in the sea. 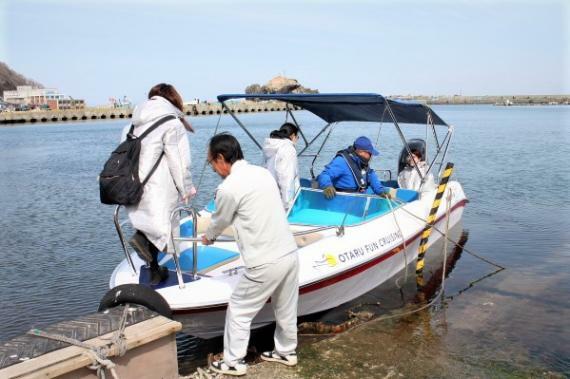 The program may cancel or change cruising course in case of weather sudden change and high waves. We have to refuse to participate below case for safety reason. Expecting mother, Drunk person, Persons with back problems. *No cancellation charge in case of tour canceled by weather condition. Otaru is the only coastal quasi-national park in Hokkaido. 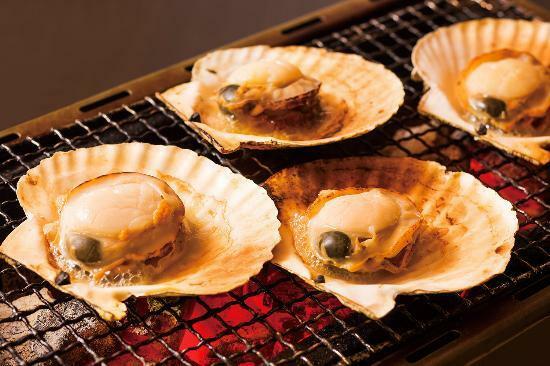 This tour cruises on the Otaru coastline, which is said to be a secret place. The magnificent view of the wilderness that continues from the era ancient times makes us forget the time and everyday life.